Amber Priest is responsible for opening most of the mail and packages for RB Hinkle Construction and distributing it to the appropriate recipient. 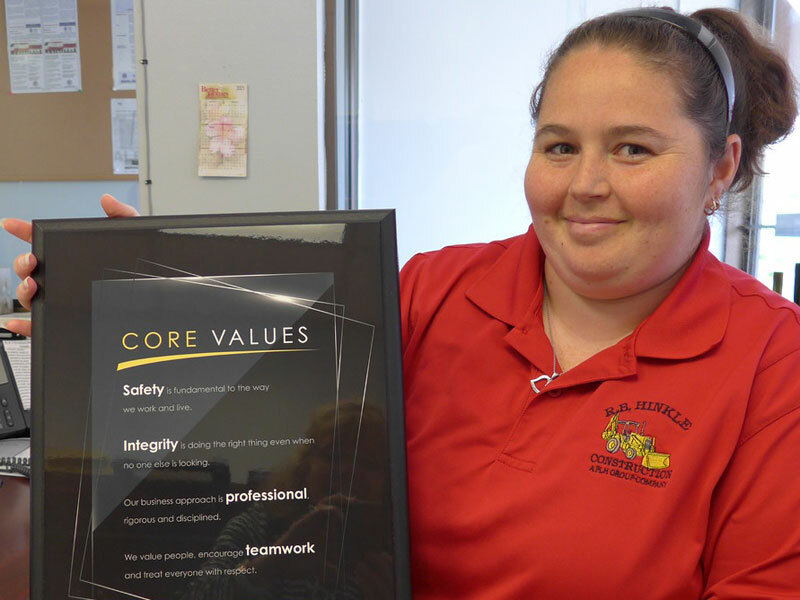 Imagine her surprise when she opened this professionally designed Core Values Plaque from the parent company PLH Group. She immediately knew where it would best represent the core values of RB Hinkle, right in the main lobby area. Everyone coming and going will be reminded of the company’s core values of Safety, Professionalism, Integrity and Teamwork.